So, I’m a bit of a Keyboard geek. 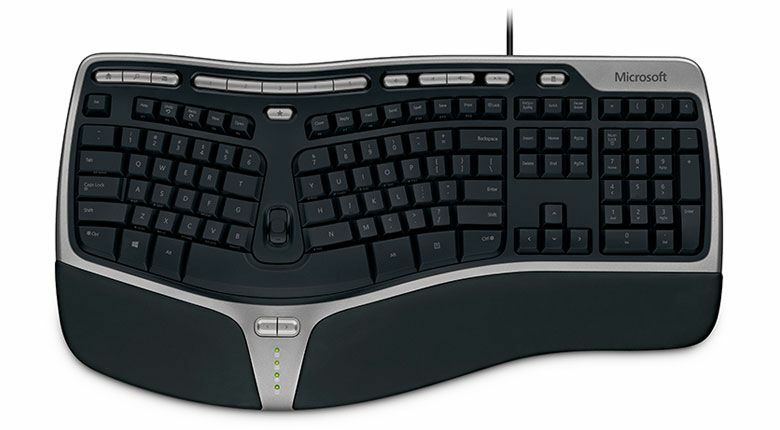 I didn’t mean to become one, but after having some issues with wrist strain, I thought I should look into a decent ergonomic keyboard. Plus I was aided by other Keyboard enthusiasts from the Portland Puppet office. If you’d told me I’d spend the amount of money I have on keyboards in my lifetime, I’d be looking at you funny. But one way I’ve found of looking at it is that it’s actually an investment in health. I spend about 8 hours a day at a computer for work, and probably more for leisure time. And I’m probably going to be using a keyboard for the rest of my professional life, so keeping my wrists in good health is pretty important. 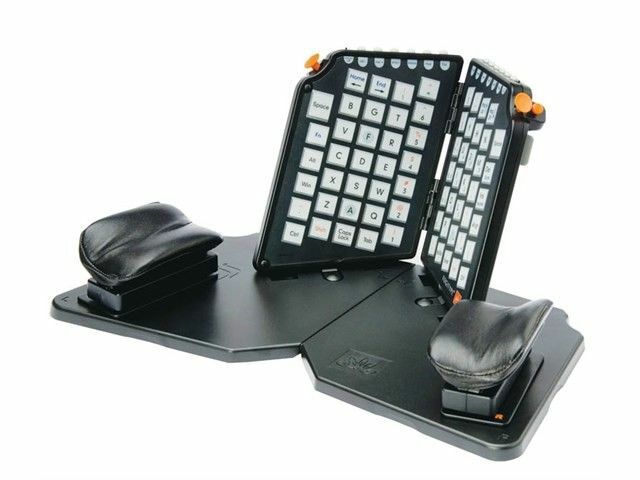 I ended up buying the keboards that get mentioned the most in discussions about ergonomics (such as in this HackerNews thread or this post), and after that I ended up just getting interested in keyboards for other reasons tham ergononics. 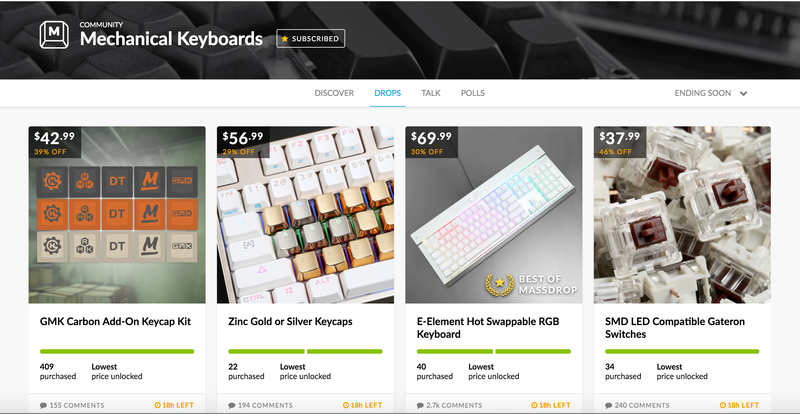 Massdrop is basically a Kickstarter-ish system, but with existing products. People pledge to buy a product in a certain quantity, either to get a lower price, or to get a manufacturer to produce a product that’s been discontinued or hard to find. And one of the weirder parts of my keyboard collection, a key switch tester. It’s a good way to test out what keys feel the best for you before shelling out for an entire keyboard. I saw a cheap second-hand one going for £60 on eBay Buy-it-now. Since all the other HHKB’s I’d seen on eBay were in the £100-150 range, I thought worst come’s to worst, I could sell it. Microsoft don’t get enough credit for their hardware division, and the 4000 deserves a lot of credit. It’s easy to find, it’s cheap as chips and won’t get you weird looks from co-workers when using it. This is the keyboard I use at home or the office the most. 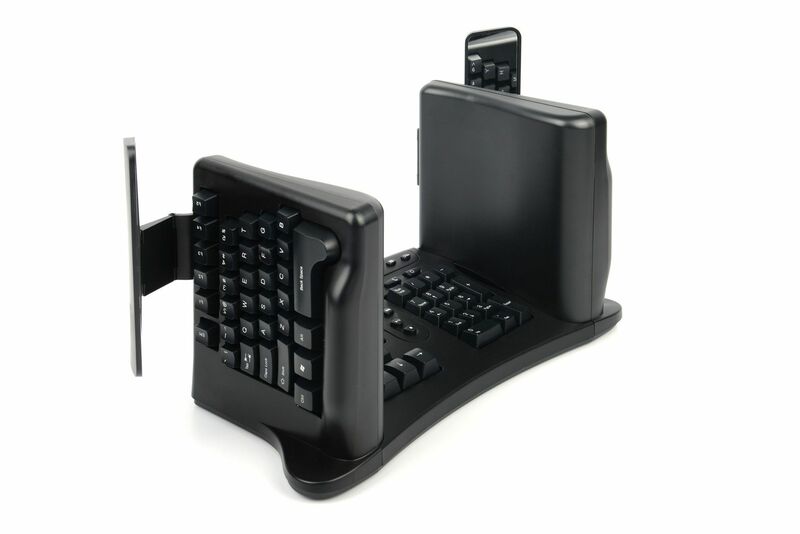 It’s great for avoiding wrist strain. 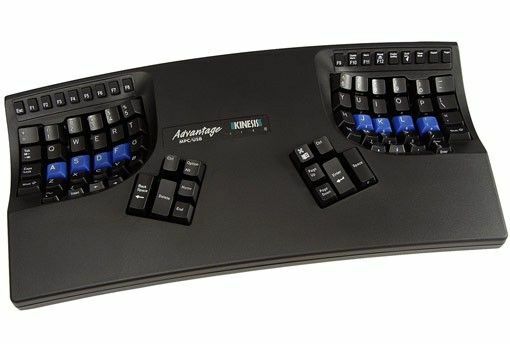 The Kinesis is the big daddy of ergonomics keyboards. Expensive, hard to find and a different layout. It’s a full split, with spacebar on the left thumb and backspace on the right, making it hard to get used to. I’ve been slowly training on it at home, but right now I can barely get above, so I normally stick to the Microsoft 4000 if I start getting wrist or elbow strain. This one isn’t actually out yet, but I ended up backing it on Kickstarter. It’s basically a keyboard with analogue signal on each key, instead of just digital. 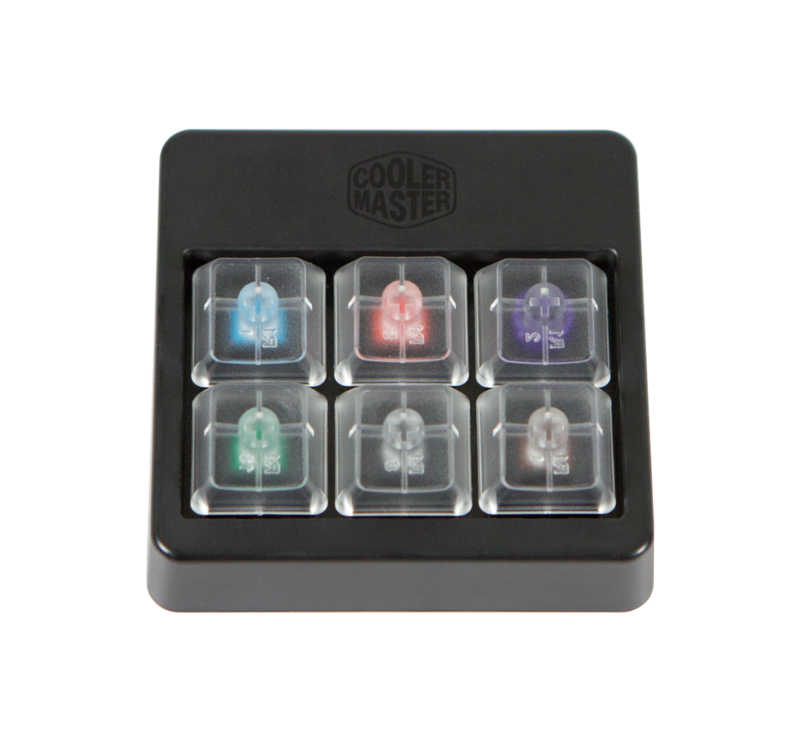 This means you can use different levels of pressure on keys for different responses. However, how good they are at this is arguable. There’s a study on using the SafeType versus a regular keyboard.. One of the issues I’ve seen is that it’s easy to push the problen into a different area, and get more strain in the neck, shoulders and forearms because of the different body position. I’ve not had the chance to try one personally, but they seem interesting so I’m on the hunt for them right now.